Create a plan you can use all year long. This should include talking to your child about your expectations for their academic performance and behaviors, as well as their responsibilities at home. Have a set time for homework and chores as well as time when they can just have fun and relax. Practice effective time management skills. Time management involves more than just making a schedule. Successful time managers know how to prioritize. These essential skills will follow kids through their lifetime. Set aside time to help kids with homework and aid in research projects. Emphasize the importance of a system that requires you to commit to certain tasks at specific times and stick to this plan as much as possible. Maintain a positive attitude. It is important for kids to see that you are optimistic about their school year and that you believe they can succeed. So much of what children believe about themselves has to do with what they believe parents or teachers think of them. You can help increase your child’s self-esteem and positive regard for himself by reminding him that you know he is capable of success and that you expect him to do well. Ask former teachers for advice. New teachers will not have a lot of information about your child yet. Former teachers will have lots of information they could share with the new teacher, as well as you. They could give you insights on areas in which your child struggled the year before, skills he didn’t quite master and other facts. Encourage excitement about the new year. If parents believe in what the school is doing and they share this excitement with kids, kids are more likely to be excited too. Finally, communicate with teachers and staff as often as needed. Establish positive relationships with everyone who has to do with your child. Many times, parents are the common thread of success that helps them succeed. Kids look to you for guidance and support, and for your opinion about how schools are meeting their needs. They also observe how you react when there is a problem or issue. How do you handle conflicts that may arise out of teacher/parent or teacher/student relationships? If you handle it well, they can learn from this and it influences how they feel about the whole educational process. Building good relationships and staying in touch with your child’s school are some of the most effective ways to have a great school year…not just THIS year…but also every year. Kids may be the ones heading back to school following summer break, but as a parent, you could use some help getting them (and yourself) ready for the new year. 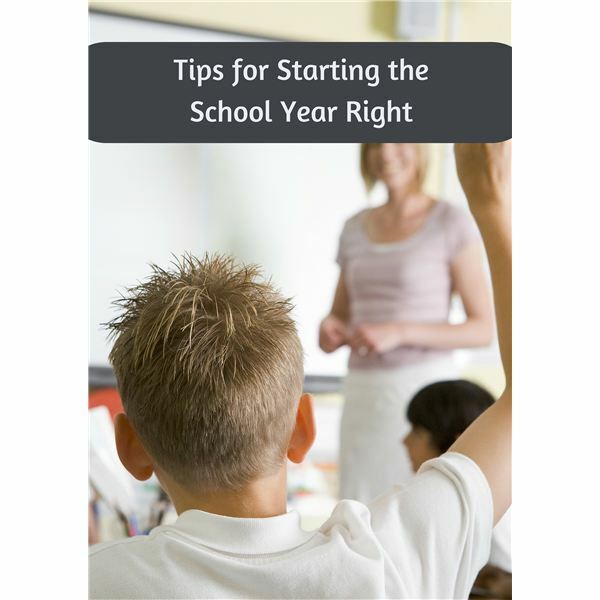 The valuable tips provided in this series will increase your child’s chances for a successful and meaningful school year.